Thanks Leslie...I love it more everyday. That is really cute. I love the colors, the plants almost look like real cacti. 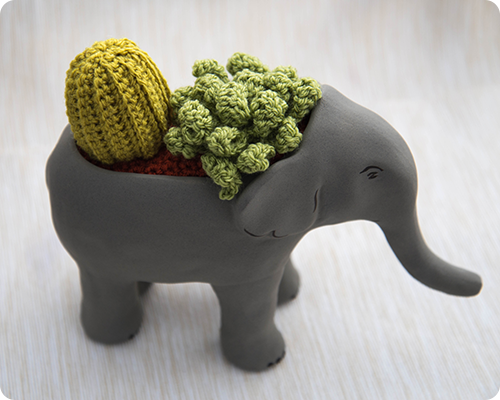 You're right Bekki, my succulents will stay neatly tucked inside my elephant...another bonus. Thanks for stopping by. This is a great project!! 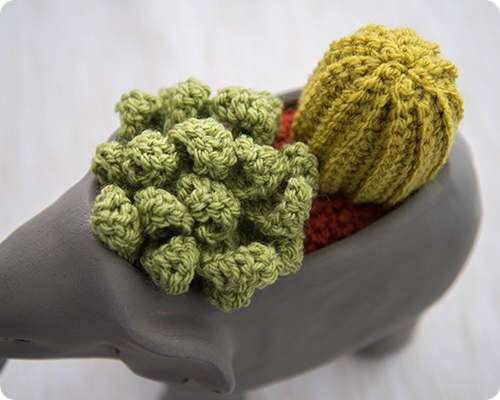 No leggy succulents here - just perfect ones that will stay in their container without watering and maintenance! So cute!